The village of Episkopi is 18 km southeast of Heraklion on exit at 8 km south fork of the Heraklion - Agios Nikolaos high way. The village itself has a maze of narrow streets, old stone houses, peaceful squares, unpretentious taverns and a selection of shop, where you find almost everything you need, except tourist products. 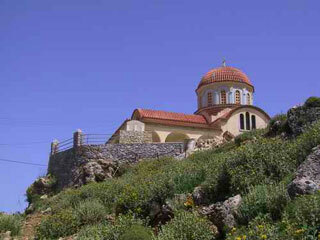 You will meet a lot of Cretans, who welcome every visitor with a great hospitality. There is a nice countryside around the village of Episkopi and you can also have a memorable view to the mountains of Psiloritis and Lassithi.